This weekend, you can save 30% on all LEGO Dimensions DC Comics packs to celebrate the release of Suicide Squad in theaters. These deals are valid at GameStop and Amazon. 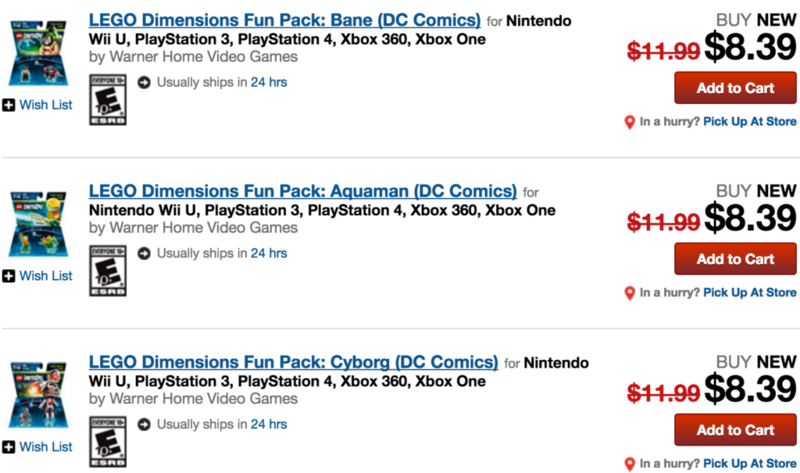 Or you can pick up the Joker and Harley Quinn Team Pack [GameStop] for only $17.49! These prices are available online & in-store, with no set end date, but won’t last long! WIN: LEGO Dimensions Wave 5 Fun Packs (Slimer, Bane, and Llloyd)!